Fighting mecha make an appearance in the upcoming Gurren Lagann Trial Deck and booster packs for Bushiroad’s Weiss Schwarz card game, which has a street date of July 5. 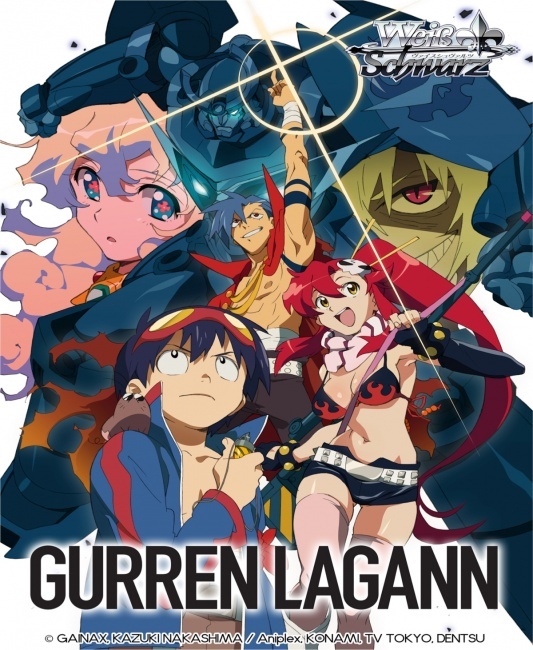 The expansion is based on the 2007 anime series of the same name, in which the humans of the future are forced to live below ground by the oppressive Spiral King Lordgenome until a “digger” by the name of Simon discovers the mecha known as Lagann and drills up to the surface to lead a rebellion. 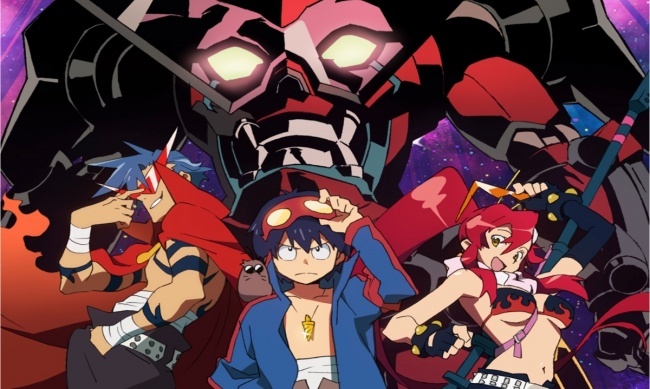 The Gurren Lagann expansion will be available as a Trial Deck and in booster packs. 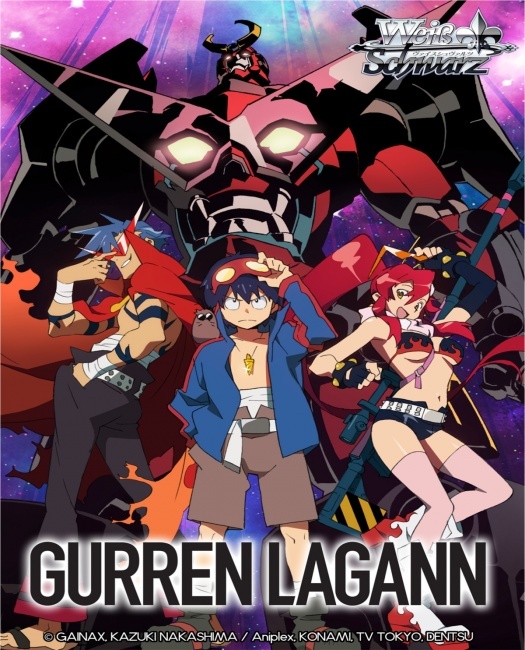 The Gurren Lagann Trial Deck includes the central characters from the anime: Simon, Yoko, Kamina, and the mecha Gurren Lagann; and focuses on the early part of the story from the founding of “Team Gurren” to the first time their mecha “fuse” together. As part of the theme, the deck includes cards that fuse together to create more powerful combinations. This fixed-card deck includes a total of 50 cards, with 20 different card types, as well as a rules sheet, playmat, and deck manual. Six different parallel cards will be randomly inserted into some decks, including cards featuring the signature of Marina Inoue, the voice talent for the character Yoko. Trial Decks will be sold in six-deck display boxes. The Gurren Lagann Trial Deck will be in the same “Neo-Standard” deck format as May’s Happy Happy Train Trial Deck release (see “‘Love Live! Sunshine! !’ Returns to ‘Weiss Schwarz’”). The rest of the expansion will be found in the Gurren Lagann booster packs, which cover the rest of the Gurren Lagann story. This card set adds a new ability to Weiss Schwarz, and is designed to work well with the cards in the Trial Deck. Altogether, the complete set has 100 card types, with 22 parallel versions including four autograph cards that will be inserted into random packs. The cards will be packaged in eight-card booster packs, which are sold in 20-pack display boxes. Each display comes with one of four random PR cards, and each 16-display carton has four exclusive rubber playmats.